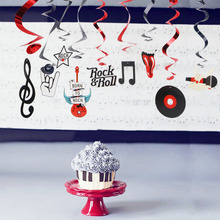 Decorate your Rock and Roll party with these great looking hanging decorations. 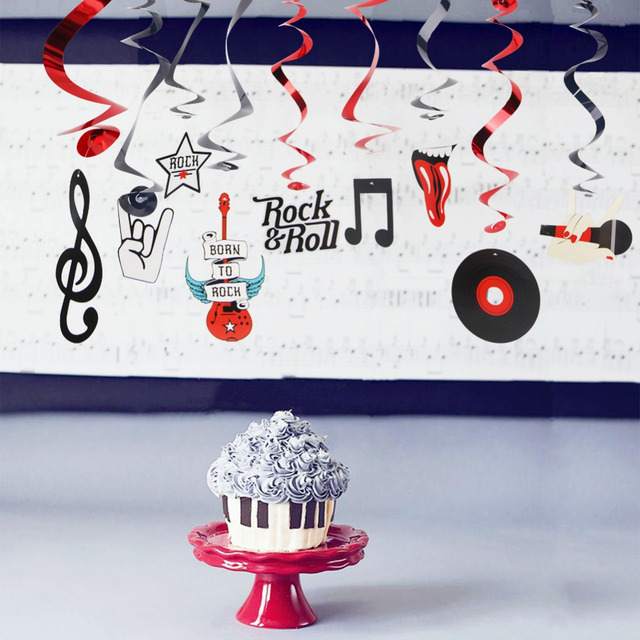 Hang them from your ceiling or a light fixture for a great 3-D musical decoration. 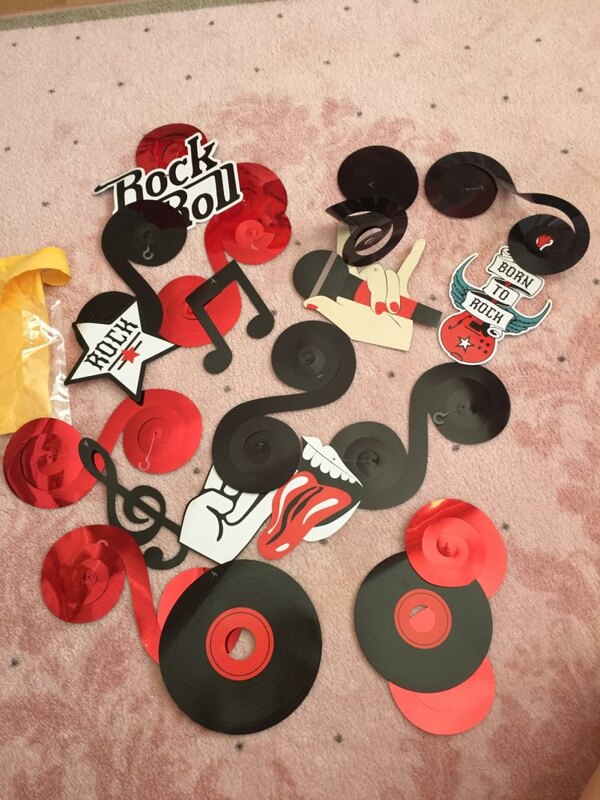 Each Rock n Roll whirl is a combination of music notes and black records and signs. The hot pink, black and turquoise colors go great with 50’s theme parties. beautiful 60 year well themed pendant rock, mebase matching. доставка быстрая, все понравилось спасибо продавцу! Супер ! Качественно! Очень быстрая доставка 2недели! Заказала 21 марта пришло 4 апреля. Спасибо продавцу! 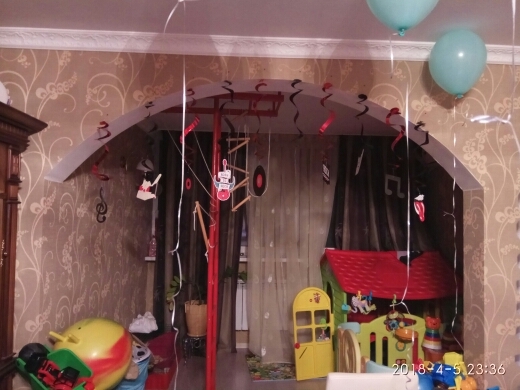 Thank you so much for the decorations! They look amazing, they will fit our wedding's theme perfectly. I love them! Great product, perfect for rock birthdays. Very fast delievery, only 11 days. I recommend the store. So very cool and real fast delivery! Love it.